Samsung has been heavily criticized over the year for not making metal or aluminum casing for their premium devices. Now we all are hoping that the scenario will change in early 2014. 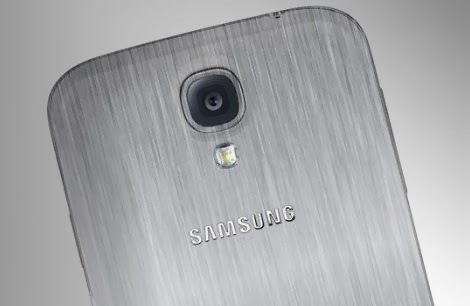 Either Samsung Galaxy S5 or new premium series Galaxy F will feature metal body everyone is waiting for. Now another Korean source is giving same information again. ETNews reported that Samsung plans to make a high end metal smartphone: the Galaxy F. The phone will be decked out with a metal exterior. This is supported by earlier reports that a production line in Vietnam was created for making metal casings for the Galaxy S5. We also previously reported that Samsung had plans for a metal clad, premium line of smartphones, which will carry the model number SM-G900F, giving more and more credence to the phones rumored release. It should be launched around the same time as the highly awaited Galaxy S5. The Galaxy F is purported to be Samsung's newest top-of-the line handset, but we don't know if this "premium" approach extends to the device's technical specs. There's been rumors that in addition to the metal body of the Galaxy F, the phone will sport an QHD 2K display (2,560x1,600 pixels). However, these rumors are unsubstantiated. So keep your eyes open for any new developments.